Federal appeals court Judge Charles Wiggins, who as a California congressman in the 1970s was among President Nixon's staunchest defenders before urging him to resign, died Thursday night. He was 72. 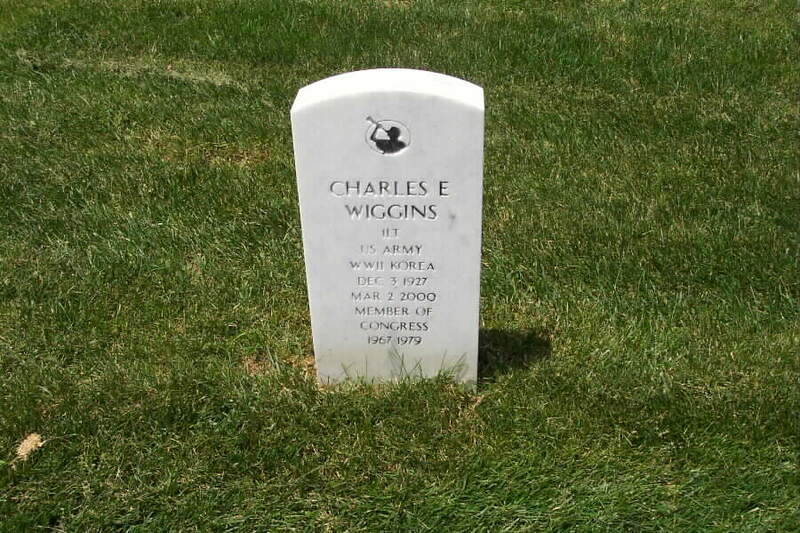 Wiggins, who died of cardiac arrest at a Las Vegas hospital, was appointed in 1984 to the 9th U.S. Circuit Court of Appeals, based in San Francisco. He had been a senior judge on the court and lived in Las Vegas for the last 3 1/2 years. "Chuck Wiggins was a dearly beloved colleague and a true friend of the court," said Procter Hug Jr., the court's chief judge. "We'll miss his dedication and hard work, but most of all, we'll miss his friendship, his political insights and his wise counsel." Wiggins, a Republican from the Southern California district once represented by Nixon, served in the House of Representatives from 1967 to 1979. He was considered Nixon's strongest defender on the House Judiciary Committee during the Watergate hearings in 1974. He later switched positions and called for Nixon's resignation or impeachment. The defection of the respected congressman was regarded as a key factor in the final erosion of Nixon's support on Capitol Hill and Nixon's decision to resign. In August 1974, after Nixon acknowledged lying about his role in the Watergate coverup, Wiggins announced he was ready to vote for impeachment on Article 1, alleging obstruction of justice. Three days later, Nixon resigned. More than two decades later, Wiggins told the House Judiciary Committee that charges against President Clinton were too narrow to warrant impeachment. He advised the committee to send articles of impeachment to the House floor, but said lawmakers should kill the process at that point. During his tenure in Congress, Wiggins served on a commission that recommended splitting up the nine-state 9th Circuit, which includes Nevada and California. After spending a few years on the appeals court, Wiggins changed his position and became a strong proponent of keeping the 9th Circuit intact. senior judge, no replacement will be selected. A 1956 graduate of the University of Southern California School of Law, he later served as mayor of El Monte, California. Survivors include wife Betty of Las Vegas, two sons, three stepchildren, a sister and 10 grandchildren. Judge Procter Hug, Jr., chief judge of the United States Court of Appeals for the Ninth Circuit, is saddened to advise of the passing of Senior Circuit Judge Charles E. Wiggins on March 2, 2000, in Las Vegas of complications from diabetes. President Ronald Reagan appointed Judge Wiggins to the Ninth Circuit Court of Appeals in 1984. He took senior status, a form of semi-retirement, at the end of 1996, but he continued to handle cases for the court until his untimely passing. Chief Judge Hug, whose office was in the same building with Judge Wiggins for many years, recalled, A Chuck Wiggins was a dearly beloved colleague and a true friend of the court. We = ll miss his dedication and hard work, but most of all we' ll miss his friendship, his political insights, and his wise counsel. A fourth-generation native of southern California, Judge Wiggins, 72, served in the United States Army, rising to the level of First Lieutenant in the infantry during the Korean War. He was graduated from the University of Southern California and from its law school (with high honors) and entered private practice in his home town of El Monte, California, in 1957. Judge Wiggins = long and distinguished career in politics began while he was in law school when he became a planning commissioner for the town of El Monte, a post he held until 1960. From 1960 until 1966, he served as mayorand councilman for El Monte, in addition to maintaining his private law practice. In 1966 he was elected to the United States Congress from Orange County, California, where he served with distinction until 1979 when he returned to private practice. 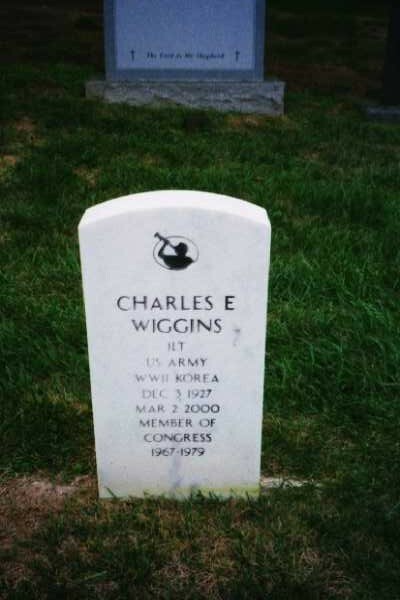 Congressman Wiggins is perhaps best remembered for his respected and effective defense of President Richard Nixon on the floor of the House during the impeachment proceedings. = s most staunch and effective supporters in favor of preserving the circuit in its present configuration. Las Vegas, Nev., and five children. From his marriage to Yvonne L. Boots (deceased), he had two children, Steven Wiggins of Snowmass, Colo. and Scott Wiggins of Mukilteo, Washington. Betty had three children from a prior marriage, Gary Burnett of Las Vegas, Nev., Darla Colton of Scottsdale, Ariz., and Craig Burnett of Santa Rosa, Calif. Judge Wiggins is also survived by ten grandchildren, Benjamin, Nicholas and Alaina Kate (children of Scott); Justin, Garrett and Kara (children of Gary); Daniel, Mauri, and Jenna (children of Darla); and Spencer (child of Craig). Funeral services will be held on Monday, March 6, at 11:00 a.m. at the Palm Mortuary, 7400 West Cheyenne Avenue, Las Vegas, Nev. In lieu of flowers, the family requests that donations be made to the Diabetes Association, 2785 East Desert Inn Road, Las Vegas, Nev. 89109; (702)369-9995. Angeles County, California, December 3, 1927; attended the public schools in El Monte, California; served for four and one-half years in the United States Army, Infantry, with thirty-two months overseas during the Second World War and Korea; graduate of the Univeristy of Southern California with a degree in business administration and finance in 1953; graduate of the University of Southern California School of Law in 1956; admitted to the bar and commenced practice in El Monte, California, in 1957; former member and chairman of the El Monte Planning Commission, 1954-1960; former councilman and mayor of El Monte, California, 1960-1966; member of the California State Republican Central committee and elected to the Los Angeles County Republican Central committee; elected as a Republican to the Ninetieth and to the five succeeding Congesses (January 3, 1967-January 3, 1979); was not a candidate for reelection in 1978 to the Ninety-sixth Congress; appointed judge, United States Court of Appeals, Ninth Circuit, October 11, 1984; died in Las Vegas, Nevada, on March 2, 2000.